Ranking your website high in the Google search results using the power of SEO is a great start – but once your website is ranked on page one, it’s only the beginning of the ongoing process of persuading people to become a sales lead or a customer. If you’re looking for Plymouth SEO services, The Devon SEO Co can help your business get the edge on the competition with our tried and trusted strategies. Get started today by calling 0800 404 5988 or by emailing hello@thedevonseoco.co.uk to find out how you can benefit from our expertise. Using professional internet marketing, including a targeted SEO strategy, will help your business to beat the competition and make inroads into expanding your customer base. Statistics show that 92% of website visits from Google searches go to sites on the first results page. This means you need to tap into a strategy that is up-to-date and is continually developing. SEO isn’t static however by sticking to the Google Guidelines you can be sure that all work is a tangible investment. Why choose The Devon SEO Co? Number 1. You need an SEO strategy that includes search marketing which is highly targeted and timely. Number 2. 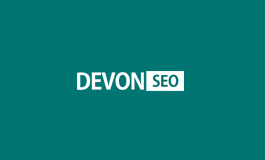 The Devon SEO Co has a large portfolio of clients, from small businesses to global organisations. Let us bring our years of expertise to your marketing campaign, enabling your business to reap the rewards.